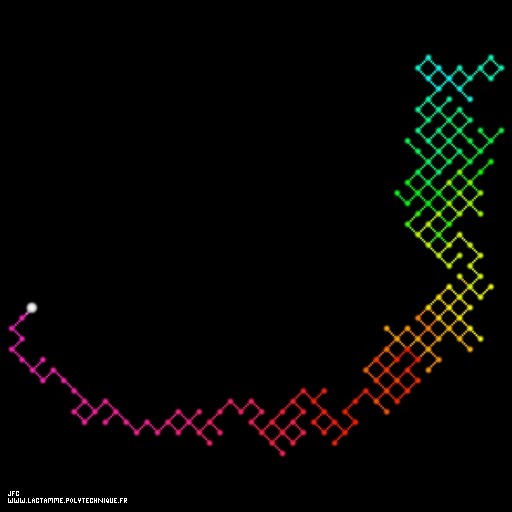 The special Liouville function displayed as a bidimensional random walk for the integer numbers from 2 to 1001 [La fonction spéciale de Liouville visualisée comme une marche aléatoire bidimensionnelle pour les nombres entiers de 2 à 1001]. Let's recall that 1 is not a prime number when 2 is the first one (and the only even one...). It is useful to compare this trajectory with the one of the Liouville function .